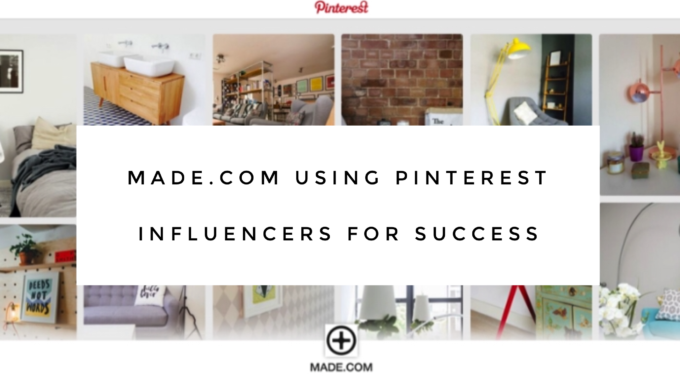 We discover how Made.com has been using Pinterest Promoted pins and specifically Pinterest Influencers (Pinfluencers) for e-ccomerce success.for e-ccomerce success. Made.com is a leading home furniture and furnishings retailing site that promises good quality and great savings for the buyers by bypassing the middlemen who inflate the price in a brick-and mortar retailing scenario. This etailer that started operations in 2010 has been posting good results consistently. Its marketing promotion is being done mostly through social networks, the star of which is undoubtedly Pinterest. 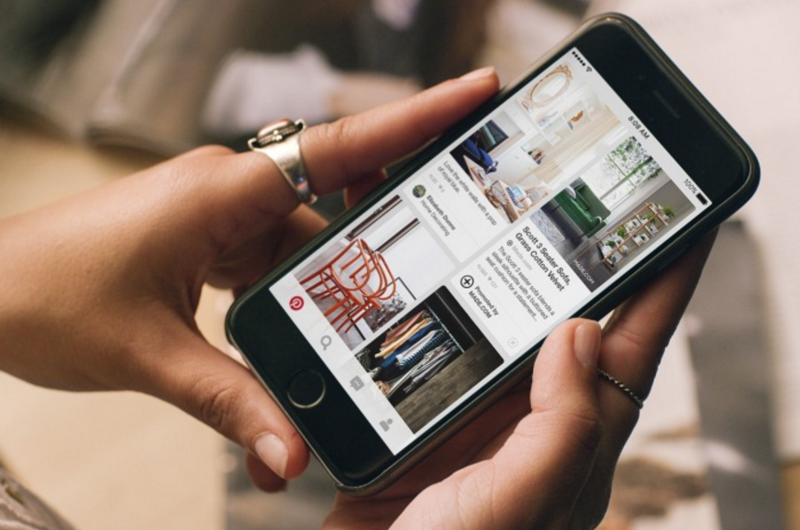 Made.com was one of the earliest businesses to realize Pinterest’s promotional potential. Ever since made.com jumped aboard the Pinterest promotion wagon in 2012, it has used this social network’s features to great advantage. 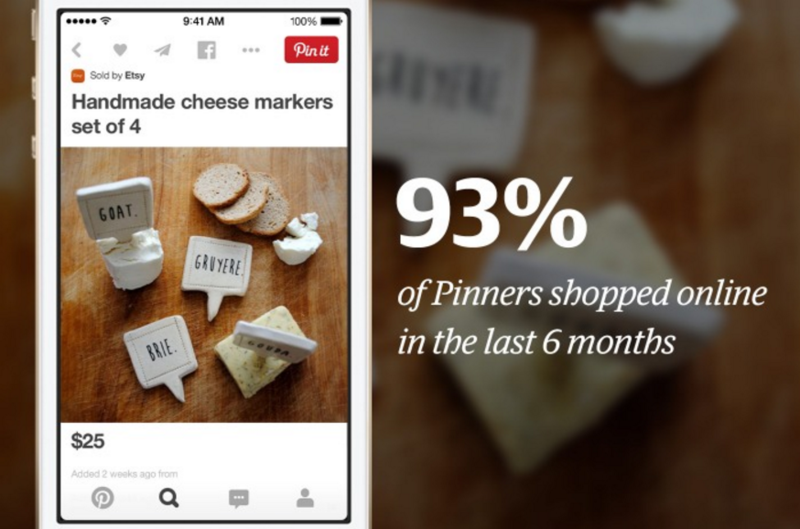 As you know, users can create boards on Pinterest on any topic allowed by the platform. Well, Pinterest is rich in home décor content and gets unbelievably high clicks from consumers interested in home decor. Voila! That’s precisely the field made.com is in. So on Pinterest, made.com gets a ready and willing audience. The company has created numerous niftily named and cleverly themed boards to showcase their range. Every board is visually delightful with crisp, simple copy that makes browsing seem like a soothing pastime rather than a chore. The board bear catchy, memorable names as per their specific themes and include New In, New Nordic, Jungle, Smart Design, Retro, Soft Summer, Going Dutch, Go Green, The Dad Pad, Work, Sleep, Eat, Live, Copper, Think Pink, White Hot, Brights, Rented Home, Stylish Storage, Christmas, Spring, and many, many more. This is simple but clever marketing that works with the consumer. See the point? For made.com, it is ‘have a category, have an inviting board to pull the buyer in.’ These boards make it a breeze for the buyer to check out all that’s new, or trending, or on discount. Made.com has also been using Rich Pins where buyers get all the pricing, availability and where to buy information on Pinterest itself. Recently, made.com has also started using Promoted Pins that appear as per relevant search history on a Pinterest user’s screen. This is a win-win situation for all – the viewer who gets to see relevant pins, the platform that earns extra revenue and the company that reaches potential buyers easily. Made.com has been moving in tandem with changing marketing trends. Looking at the rapid growth of influencer marketing and the revenues it brings, made.com also collaborates with leading Pinfluencers (Pinterest users with boards that have high following). These Pinfluencers create Guest Boards (both exclusive and non-exclusive) with made.com products featuring prominently on them. Below are some leading design and décor-oriented Pinfluencers being used to great gains by made.com. As these Pinfluencers are opinion leaders followed and trusted by a large number of made.com’s potential buyers, these guest boards bring higher visibility and credibility to the company’s brand as well products. Made.com has made simply terrific use of Pinterest to boost its business and has bolstered its bottom line solidly.